Jessica Altieri is a pioneer in the world of wine lifestyle digital media, creating the world’s first live experience and digital lifestyle network, Wine Channel TV Digital Network. Experienced senior events and experiential marketing producer who also holds her certification as a wine and water sommelier and has 8+ years’ experience in the experiential event and lifestyle market industry. An award winning 40 Under 40 Tastemaker with a passion for learning and expertise in developing unique, multifaceted, award winning experiences. Significant experience producing live experience events for iconic brands including Penfolds, Bentley, E&J Gallo, Laurent-Perrier, Westfield Mall, Kenmore, Italian Trade Commission and Robert Mondavi. A pioneer in experiential events with the use of video and digital media, online and live event productions creating the first New Zealand Wine Day activation with 20+ New Zealand Winemakers and live studio audiences around the world. 8+ years of storytelling expertise in video and social media, with deep experience in food, wine and lifestyle culture segments around the world. Wine Enthusiast Magazine named me an award winning 40 Under 40 Tastemaker for 2016 for innovative content. Pioneered best-in-class video storytelling and digital marketing in the wine and food lifestyle segment with creative solutions that drove revenue with leading brands. 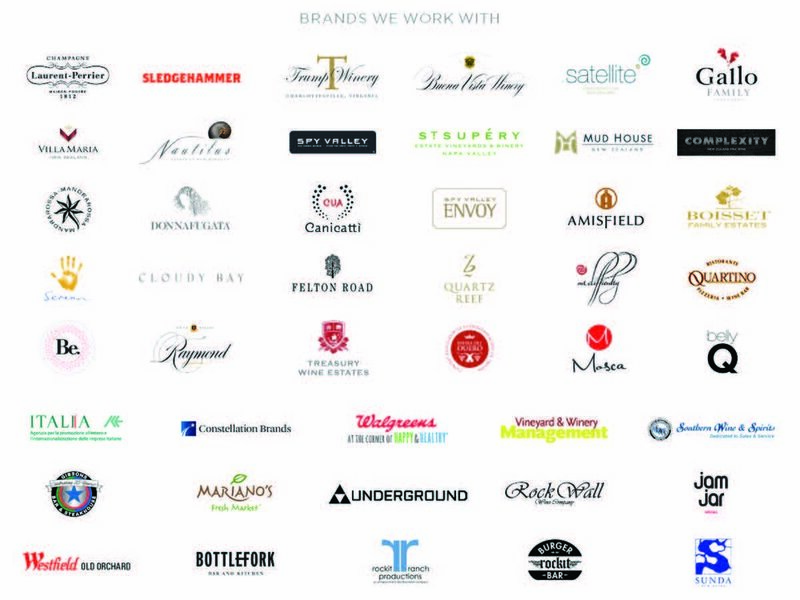 Clients include: Starwood Hotels-Retail Group, Walgreens Boots Alliance, E&J Gallo, Treasury Wine Estates, Penfolds and global food and wine trade associations. Lead development and execution of high profile, high impact video and social media campaigns for clients from conception thru execution. Clients: over 200+ wine and food brands including Italian Trade Association, New Zealand Winegrowers, Constellation Brands, Southern Glazers. Lead teams in the development and execution of creative branded content projects for digital and live brick and mortar experience executions. Managed the creative and operational process of projects including management of budgets, internal/external production house, scripting, storyboarding, casting, internal designers, pre-production, field production, editing, and post-production. Partner with client ad agencies to pitch innovative client solutions and successfully execute unique content for video and social media campaigns. Designed and produced the “Digital Sips” event campaign, a visceral live and online digital experience, including GE, 1871 (Chicago’s Technology and Entrepreneur Center), E&J Gallo and Merchandise Mart Chicago; 300+ VIP guests and a worldwide online audience. Lead producer for Walgreens Chicago Flagship store event launch, Wine with Walgreens, integrated live and online experience campaign with leading fashion, wine, health brands and celebrities with over 500+ attendees and worldwide audience. Created and produced the first annual New Zealand Wine Day campaign with inaugural launch at Kenmore Live Studio with 20+ high-end New Zealand Winemakers, high -end Kenmore appliance brands, celebrity chefs and an online worldwide audience; resulted in 4-year successful engagement for #NZWineDay events in Chicago, SFO, NYC. Lead event producer for NFL Draft and Bentley Chicago Viewing Event featuring launch of Bentley Mulsanne, with leading wine and fashion brands including, Vince Camuto, Laurent-Perrier, Drizly; over 300+VIP guests and integrated video/media and high touch engagement. Lead digital event producer for Italian Trade Commission Saratoga Wine & Food and Fall Ferrari Festival, creating live and online digital content for over 1000+ guest and 200+ wine brands.